Our Rapid-Response Virus Repair Support service includes fast on-site virus cleaning to home and office locations. Emergency on-site virus removal service and support is offered 24 hours a day and available whenever and wherever you need it. 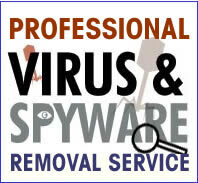 We provide full virus detection and removal services for the DFW Metroplex. 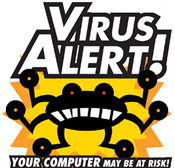 If you suspect that you have been infected by a virus, please contact us right away at (817) 717-5539. We can help. Metroplex Tech Dallas Fort Worth Virus Removal offers on-site computer virus removal that completely eradicates even hard-to-remove computer virus infections. We clean and remove virus infections from desktop PCs, laptops, personal and business computers and servers. We service popular brands such as Compaq, NEC, Toshiba, Alienware, Dell, eMachines, Gateway, HP Hewlett Packard, IBM Lenovo, Acer and Sony to name a few. Even if you have antivirus software your PC, it can still become infected. How? If the antivirus software is not up-to-date it will no longer protect your PC from new viruses. An out of date virus checker offers no protection against the average 3 new viruses released daily. Also, in many cases antivirus software is up-to-date yet not active or has not been scheduled to run, so virus protection is no longer enabled allowing a virus to infect the computer. Many types of "virus-like" software such as spyware, adware and rootkits are not cleaned by anti-virus software packages without buying a separate add-on package. Spyware and adware can cause many virus like symptoms and problems and rootkits can steal your personal information. Once a virus or spyware has thoroughly infected a computer, it may require manual removal and in severe cases may even require a reinstall of the computer operating system. Because of this, It is very important to find and remove them as soon as possible. Metroplex Tech has the latest virus/spyware cleaning and repair tools that can identify and remove the most vicious and complex viruses, trojans, worms, rootkits and spyware from your computer system. Needless hours can be spent trying to remove these many types of viruses yourself. We can help save you time and get your computer virus free and up and running fast. 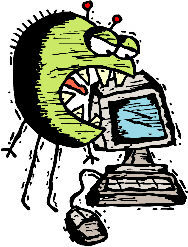 Viruses and related malware can cause extensive damage. Damaging the PC boot record or OS system files will no longer allow the computer to boot. Damage to personal files will not allow those files to be accessed any longer. Multiple instances of viruses will cause symptoms such as slow performance, program errors, and no or slow internet access. With our virus removal services, we will also install and properly configure anti-virus and anti-spyware programs to protect your computer from future viruses, spyware, trojans, worms, rootkits and other unwanted malware. It is estimated that 1 in 5 computers is infected with some kind of virus or trojan. A Virus Removal Specialist can come to your location, remove all computer virus infections and restore any system files that were damaged by the virus. In addition, we will also update your virus protection to the most current available. We can also update your system with any security patches and configure your system settings for maximum security. anti virus, antivirus, anti virus free ware, anti virus online, anti virus programs, anti virus protection, anti virus review, anti virus scan, anti virus scanner and anti virus software. Avast anti virus, AVG anti virus, AVG virus protection, best anti virus, best anti virus program, best anti virus software, CA anti virus, computer anti virus software, computer virus, email virus and free anti virus programs. Free anti virus protection, free McAfee anti virus, free virus removal, free virus scan, free virus software, Kaspersky anti virus, McAfee anti virus, McAfee virus, McAfee virus scan and microsoft anti virus. Norton anti virus, Norton anti virus, Norton anti virus software, Norton virus protection, Norton virus scan, Nortons anti virus, online virus scan and Panda anti virus. Remove trojan virus, spyware anti virus, spyware virus, Symantec anti virus, trojan virus, virus protection, virus protection software, virus removal, virus scan, virus scanner, virus software, Vista anti virus, Yahoo anti virus and Yahoo virus protection. We support these and other antivirus programs and packages. AntiVir, AOL Active Virus Shield, Avast!, AVG Anti-Virus, Avi Security Network Security Software, Bitdefender, Cisco Security Agent, ClamAV, Comodo AntiVirus, DrWeb, F-Prot, F-Secure, Kaspersky Anti-Virus, McAfee VirusScan, McAfee VirusScan, Norman Virus Control, Norton AntiVirus, Panda Antivirus, PC Tools AntiVirus, Trend Micro, PCcillin, PC-cillin, Quick Heal Antivirus, Rising AntiVirus, Sophos Anti-Virus, V-COM AntiVirus, Virex, Windows Live OneCare and ZoneAlarm AntiVirus. We support these and other antispyware programs.